HANLAN, EDWARD (Ned), oarsman, hotelier, and alderman; b. 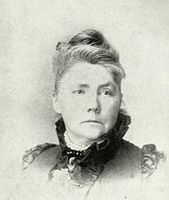 12 July 1855 in Toronto, second son of fisherman and hotelier John Hanlan and Mary Gibbs; m. 17 Dec. 1877 Margaret Gordon Sutherland, and they had three sons, one of whom died in infancy, and six daughters; d. 4 Jan. 1908 in Toronto. Even as a child, Ned Hanlan demonstrated the love of Toronto Harbour and the felicity with boats that would dominate his life. Growing up on the western arm of Toronto Island which came to bear his family name, he played endlessly on the sandy beaches facing the busy port, imitating the leading scullers of the day on a toy shell, and tagging along with the fishermen. As soon as he could, he began to row – to fish and visit his friends, to do errands and go to school on the mainland. He first made the newspapers at age five when he rowed a skiff to Market Wharf across a bay crowded with vessels awaiting the arrival of the Prince of Wales. It seemed only a matter of time before he would try competitive rowing, for regattas were held virtually on his doorstep. In 1871, when he was 16, Hanlan entered his first race, for three-man crews of “fishermen,” who were considered professionals because they were thought to have an occupational advantage over the amateur gentlemen. His boat was unsuccessful. But the amateur rules were changing: increasingly the receipt of money prizes, rather than ascriptive class status, was becoming the criterion of professionalism. Hanlan was accepted into amateur competition in 1873 and here he quickly shone. In his first singles race he won the championship of Toronto bay. Then, in 1874, wearing the blue shirt and red headband which became his trademark, he beat the redoubtable Thomas Loudon three times in succession – once for a side bet of $100, a sizeable risk for him – and won the prestigious Dufferin Medal. The following year he took the Ontario championship. These victories and a growing calendar of rich stake races led a group of Torontonians in 1876 to form a syndicate to back him as a professional. The Hanlan Club included the United States consul, a pawnbroker, a hotelier, an oarsman, and a journalist. It hired a trainer, James Heasley, and undertook to manage Hanlan’s races, leaving him free to “row, eat, exercise and sleep.” The club’s first decision was to purchase a sleek English-made shell from Loudon (who wisely switched from singles competition to doubles) and equip it with two recent innovations, a sliding seat and swivel oarlocks. Both helped the rower lengthen the stroke, and thereby the pull on the water. The sliding seat was particularly important. Before its introduction, rowers seeking greater reach had to move across the stationary seat on greased chamois pants, an awkward, often painful manœuvre. Boat builders throughout the world had tried to develop a workable “slider” for years. The first successful models seem to have been made on the Tyne in the early 1870s. News of their advantages spread quickly when members of the London Rowing Club took them to the Henley Royal Regatta in 1872 and won every race they entered. The swivel oarlock was invented in 1874 by an American. Hanlan quickly rewarded the confidence and technological astuteness of his investors. In September 1876 thousands watched the “boy in blue” capture the professional singles in the highly publicized Centennial Regatta in Philadelphia. Although many “laughed at his ambition,” according to a contemporary American newspaper, he beat most of North America’s best scullers on a three-mile course with a turn in the record time of 21 minutes 9 1/2 seconds, winning a purse of $800 for himself and a bounteous betting harvest for his supporters. Hanlan and his club next set their sights on national championships. These had to be won through the “challenge system,” which governed most 19th-century sports, even team games like lacrosse; rather than participate in an annual event called a championship, in which any qualified athlete could compete, reigning champions held their titles until they were defeated in a negotiated one-on-one challenge. Obtaining a challenge was often as difficult as the event itself. Fortunately, Hanlan’s growing celebrity and his solid backing made him financially attractive as an opponent and he was able to get the challenges he wanted without undue delays. To win the Canadian championship (and stakes of $1,000) in 1877, he beat New Brunswicker Wallace Ross over five miles with a turn before 25,000 spectators in Toronto bay. The following year he took the American title from Pittsburgh’s highly regarded Ephraim (Evan) Morris over a five-mile course with a turn on the treacherous Allegheny River, an outcome that delighted his supporters, who had bet upwards of $300,000. In 1879 he captured the English championship, beating William Elliott by 11 lengths over a three-and-one-half-mile stretch of the Tyne. With this triple crown the Hanlan Club disbanded, its mission accomplished. But the oarsman himself had one more goal, the world championship, held by Australian Edward Trickett. On 15 Nov. 1880 he raced him on the Thames River’s historic Putney to Mortlake course and, with 100,000 spectators lining the banks, won easily. In doing so he became the new nation’s first world sporting champion in an individual or singles event. (Canada’s first world champions were the “four sturdy New Brunswickers” – Robert Fulton, Samuel Hutton*, George Price, and Elijah Ross – who won both the inrigged four and outrigged four at an international regatta in Paris in 1867.) News of Hanlan’s success, spread by telegraph and newspaper, touched off a rare moment of communion among English-speaking Canadians. His victory also enriched “hundreds” of Ontarians “from Judges to peanut vendors” (Toronto Globe) who had backed him with cabled wagers. Hanlan was an active champion, accepting frequent challenges and racing often against the larger fields of non-title regattas. Defending his United States title against the latest American hope was particularly lucrative. In 1878 he had won an unprecedented $10,000 by defeating Charles Edward Courtney at Lachine, Que. Two years later Hanlan beat him again in Washington, D.C., winning $6,000. Although it was the champion’s prerogative to veto the site of any match, he never insisted on home advantage. Three months after he trounced Trickett he defended his world title against another Australian, Elias C. Laycock, on the Thames. In 1882 he returned to beat Englishman R. W. Boyd and, a month later, Trickett. The following year, after a bout with typhoid which had led to reports of his death, he turned back challenges in the United States from James Kennedy, an American, and Wallace Ross. In 1884 he again beat Laycock, this time on the Nepean River, in New South Wales. Hanlan’s genius was a superbly efficient stroke – he was the father of the modern technique. He took full advantage of the sliding seat, not only to obtain greater reach but to drive with the large muscles of the legs in a coordinated, fluid motion so that the power of his whole body was marshalled into every stroke. This movement was no easy task in a frail, tipsy shell. Novices were discouraged from employing the slider for many years, and many of his rivals who did use it pulled primarily with their arms. Hanlan, who was only 5 feet 8 3/4 inches tall, weighed a mere 150 pounds in most of his races, yet his powerful stroke enabled him to beat larger, stronger men. While he rarely rowed at more than 36 strokes per minute, compared with as many as 42 for his rivals, he usually led from the start, often toying with opponents. During his championship race against Morris he slowed down, and twice stopped altogether, to enable the American to make a race of it; he still won by three lengths. He competed with icy calm and, although the term had yet to be coined, was a master at “psyching out” opponents with timely taunts. He had no qualms about humiliating those he disliked. When racing the arrogant Trickett he chatted with spectators and blew them kisses, stopped and waited, faked a collapse, and rowed in zigzags while the Australian laboured in his wake. These “David-like” qualities made him a crowd favourite, his accomplishments “our first national sporting hero” (Montreal Gazette). Except in francophone Quebec, where editorialists wondered about the fuss, and among intellectuals like Goldwin Smith, who resented his popularity (and perhaps his working-class background), and politicians like Alexander Mackenzie*, who questioned the usefulness of his achievements, he was revered. When he returned to Toronto from his first English triumph the flotilla which met his steamer was three miles long, and speeches and celebrations lasted well into the night. Receptions and presentations greeted him wherever he travelled. In Australia he was presented with many gifts of jewellery and in New South Wales a town was renamed Toronto in his honour. As befits a sporting hero Hanlan was affable, handsome, hard-working, and generally honest. (After a brief scrape with the law – he escaped arrest for bootlegging outside his father’s hotel in 1876 by rowing out to a cross-lake ferry, only to return in glory following his victory in Philadelphia – he managed to avoid the scandals which plagued his rivals.) When newspapers in the United States claimed him as an American because of his successes there, he stressed his Canadian identity. His confident victories against the best rowers from the United States and Britain seemed to confirm the wisdom of the attempt to build a new northern nation, and the vitality of its rising cities and towns. The Globe called him Canada’s best immigration agent. In addition to being celebrated in the newspapers, which reported on Hanlan’s every movement, adding to their circulation as well as his fame, he was cultivated by the growing network of capitalist interests which sought to create a market out of sports. Chief among these were the railroads, which attracted passengers by staging and encouraging sporting contests of all kinds. Hanlan actively contributed to these promotions, participating in whistle-stop autograph tours on the eve of major matches – in 1878 he earned $3,900 from these appearances – and developed a number himself. Between matches he conducted his own touring shows, raced local heroes or the clock, and demonstrated “trickster” skills, such as rowing in a straight line with a single oar and walking on water in a pair of large tin shoes. In 1880 he obtained a lease from the city of Toronto for the three-acre point just north of his family home on Toronto Island. With $25,000 of his earnings he erected a picturesque summer hotel in the lavishly decorated Second Empire style, complete with a lush lawn, an ornamental fountain, and a windmill. Unsuccessful in obtaining a liquor licence in the face of temperance agitation led by William Holmes Howland*, Hanlan and his manager, James Mackie, attracted customers with a great variety of novelty events and amusements. Hanlan’s main occupation for many years continued to be rowing. He held his world title until 16 Aug. 1884, when he was defeated by Australian William Beach on the Parramatta River near Sydney. Hanlan’s friends put the blame for the loss on a second bout with typhoid, the debilitating effects of almost eight months of foreign travel, and a near collision during the race with a chartered steamer, but the muscular blacksmith was an exceptional opponent. Unlike Hanlan’s other challengers, Beach had mastered the use of the sliding seat; he also outweighed the defending champion by 50 pounds. Hanlan stayed another seven months for a rematch but Beach beat him then, and again in 1887. Returning the following year to race Beach’s successor, Peter Kemp, Hanlan was twice unsuccessful. The next Canadian to hold the world championship would be Jacob Gill Gaudaur*, in 1896. Despite having lost his American title to John Teemer in 1885, Hanlan was far from finished. Although he chose opponents with increasing care, he raced with success and drew large crowds to his exhibitions for another decade. In 1891 he teamed up with fellow Torontonian (and new American champion) William Joseph O’Connor* to win the American doubles championship, only to lose it the following year to Gaudaur and an American, George Hosmer. After O’Connor died in 1892, Hanlan raced with other partners but never again took a major doubles title. During his career he won more than 300 races, including exhibitions, and suffered fewer than a dozen defeats. In 1892 Hanlan had sold for $50,000 his hotel and Island lease to financier Edmund Boyd Osler*’s Toronto Ferry Company, which kept the name, Hanlan’s Hotel. He moved his growing family to the mainland to occupy the large sandstone house at 189 Beverley Street, opposite George Brown*’s former home, which admirers had built for him after his first English triumphs. On retiring from competition in 1897 he did some coaching, assisting crews at the University of Toronto and advising his nephew Edward John Durnan, who became American champion in 1905. He also attempted a political career, winning the fourth and last aldermanic seat in Ward 4 in 1898. 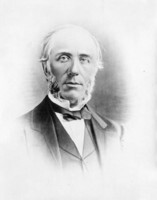 His fellow aldermen immediately appointed him to the Toronto Harbour Trust. Perhaps because he had become accustomed to being listened to, he began to speak out on issues concerning the waterfront and public recreation. At virtually every meeting of council he proposed improvements, calling for electrification and bicycle paths on the Island, special lanes for bicycles in the city, better streetcar service, a new public library, and public swimming-pools. While he obtained some of these benefits he seemed oblivious to the niceties of municipal logrolling or the power of interest groups. He publicly condemned the harbour trust, on which he sat, for its contribution to lake sewage and the neglect of breakwaters. Moreover, he advocated public ownership of the profitable ferry service managed by his brother-in-law Lawrence Solman. Such outspokenness did not win friends. 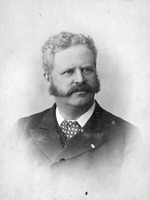 Though re-elected in 1899, he lost his position on the harbour trust. In his second term he alienated the members of the fire brigade by campaigning for its reorganization, and the business class by supporting civic workers in their appeal for a nine-hour day. At the same time he kept independent of labour and the reform ticket. 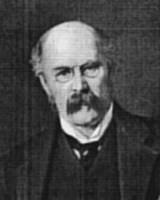 In 1900 reformer Ernest Albert MacDonald won the mayoralty, but Hanlan, whose vote fell by 40 per cent, lost his seat. After the election Hanlan sought the position of deputy harbour-master but was rebuffed. He spent the rest of his life in retirement, living off rapidly diminishing savings. But he continued to encourage and inspire young athletes. He was a regular at the Argonaut Rowing Club, regaling the younger generation with his exploits and frequently joining them on the water. He was only 52 when he died of pneumonia on 4 Jan. 1908. Ten thousand people passed by his coffin in St Andrew’s Church (Presbyterian), and tributes flowed in from around the world. The funeral cortège was a mile long. He remained a symbol of muscular nationalism for many years. In 1926, in a ceremony at which it was claimed that “Vimy Ridge was won on the rowing courses and stadia of Canada,” the City of Toronto dedicated Emanuel Otto Hahn*’s bronze statue of the confident, athletically mature Hanlan to commemorate his achievements. It fittingly stands along Toronto’s waterfront, on the grounds of the Canadian National Exhibition. AO, RG 22, ser.305, no.21587. CTA, RG 1, A, 1898–1900, including municipal election returns; RG 4, Island leases, no.1, 1860–61. Toronto City Land Registry Office, Plan D-95, lots 5–6 (189 Beverley Street). Globe, 28 April 1883; 26 Dec. 1899; 4 Jan. 1908: 13; 4 Sept. 1926: 17. Andrea Brown, “Edward Hanlan, the world sculling champion, visits Australia,” Canadian Journal of Hist. of Sport and Physical Education (Windsor, Ont. ), 11 (1980), no.2: 1–44. Canada’s sporting heroes, comp. S. F. Wise and Douglas Fisher (Don Mills [Toronto], 1974). Canadian men and women of the time (Morgan; 1898). H. [R.] Cleaver, A history of rowing (London, 1957). Frank Cosentino, Ned Hanlan (Toronto, 1978); “Ned Hanlan – Canada’s premier oarsman; a case study in 19th century professionalism,” Canadian Journal of Hist. of Sport and Physical Education, 5 (1974), no.2: 5–17. DNB. Christopher Dodd, Henley Royal Regatta (London, 1981). Sally Gibson, More than an island: a history of the Toronto Island (Toronto, 1984). W. E. Harding, Edward Hanlan, America’s champion oarsman . . . (New York, 1881). R. S. Hunter, Rowing in Canada since 1848 . . . (Hamilton, Ont., 1933). Alan Metcalfe, Canada learns to play: the emergence of organized sport, 1807–1914 (Toronto, 1987). J. M. Schwartz, “Ned Hanlan: portrait of a sports hero,” Archivist (Ottawa), 15 (1988), no.4: 7–9. Standard dict. of Canadian biog. (Roberts and Tunnell). Bruce Kidd, “HANLAN, EDWARD,” in Dictionary of Canadian Biography, vol. 13, University of Toronto/Université Laval, 2003–, accessed April 22, 2019, http://www.biographi.ca/en/bio/hanlan_edward_13E.html.